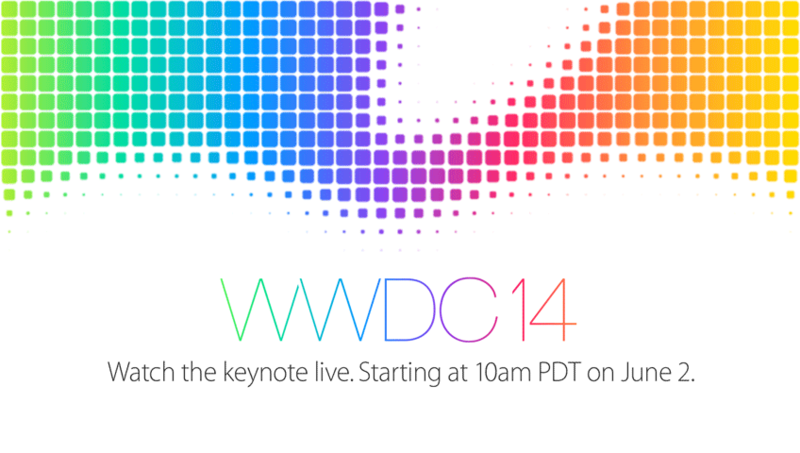 Apple has decided to provide the live streaming of the WWDC 2014 keynote event on June 2nd, to the Apple devices which have the Safari browser running. To be able to watch the live stream of the WWDC keynote online, you need to have Mac or iOS device running Safari, or an Apple TV. For those who are in US, the event would be held at 10 a.m. PDT on June 2nd, while for others around the world, check below for the Worldwide timings when the event is going to be held. Time and Date in PDT Zone: June 2nd, 10 a.m.
Time and Date in India: June 2nd, 10:30 p.m.
Time and Date in London: June 2nd, 4 p.m.
Apple is expected to be announcing a lot of upgrades to the software, especially the iOS 8 and the new version in OS X, alongside the hardware which includes the upgrade to the Macbooks, though this is not officially confirmed. It shouldn’t be a surprise if Apple is coming up with something in the hardware end because it was WWDC 2013 when Apple had announced the new Apple Mac Pro alongside the new iOS and OS X versions. The iOS 8 is said to be not a very big upgrade from the iOS 7, which was the biggest in terms of mobile OS for Apple, because of the totally new and revamped interface and a lot of changes. We expect additions to the OS to support new devices, and even the health tracking devices which Apple is being rumored to work on. After Samsung and other brands gave a go at the health tracking devices, Apple might not sit idle and look at the other brands conquering an empty empire with such ease, and thus there is an expectation that Apple might be coming up with the iWatch any time soon. For the people in US, the event starts at 10:00 a.m. in the morning, and the keynote is the most important part of the Worldwide Developers Conference held by Apple every year, because all of the major announcements are done in the keynote. Apple might be making the beta versions of the iOS 8 available as soon as the WWDC ends and if Apple announces the next version of the iOS. There is a less expectation for the new iPhone announcement here, because Apple usually holds a separate event in the second half of the year to announce the successor to the iPhone, and so the WWDC mostly should be covering the laptops, i.e. the Macbooks. If you are someone watching the event live, you need to go to the following link to watch the WWDC 2014 keynote: Click here.